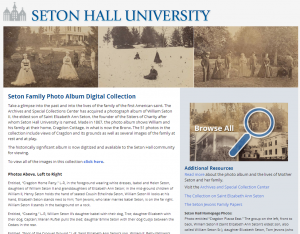 The Seton family album has been receiving a lot of attention from the Seton Hall community. Recently, the album was featured on the University’s home page in a news story, showing a selection of the images and describing the album and related resources. The Seton family album promotional landing page. The album and digital collection were also featured in a Setonian article: Hall history told through old photos, in a story written by Abbas Khan Cook. The entire album was digitally photographed by Milan Stanic, the University photographer, with the help of the University Advancement Office. 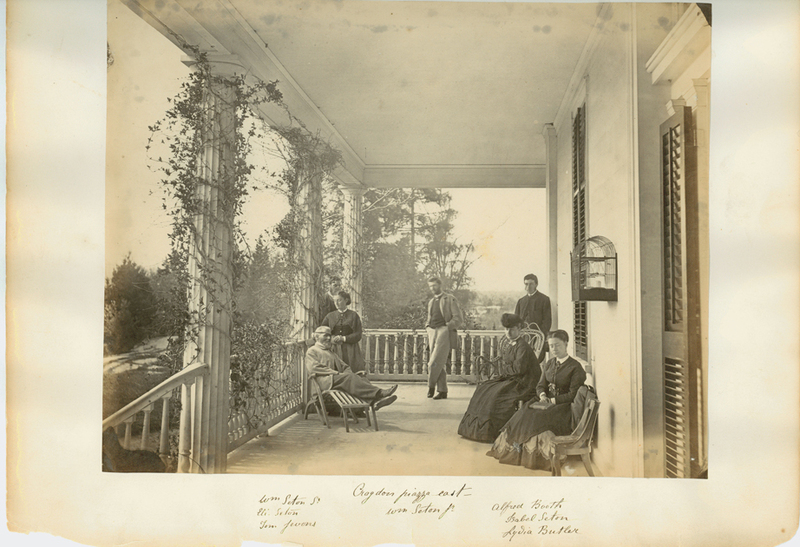 Staff of the Archives and Special Collections Center transcribed the handwritten captions on the images and made all 51 photographs available in a new digital collection, the Seton Family Photograph Album Digital Collection. The A&SCC is delighted to see this unique and fascinating album receive attention from the Seton Hall community. We hope everybody takes these opportunities to view the images and catch a glimpse of the life of the Seton family in 1867. 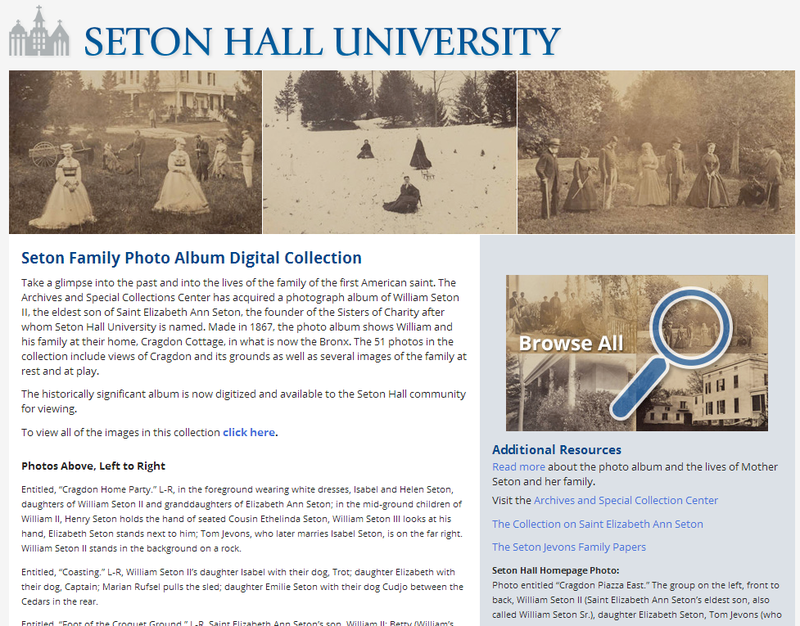 Last year, the Archives and Special Collections Center acquired materials of special importance to the Seton Hall community: the Seton family photograph album and two books belonging to the Seton family. Elizabeth Ann Seton, the first American born saint, founded the first congregation of sisters in the United States, the Sisters of Charity; opened the first free Catholic school in the U.S., St. Joseph’s Academy; and is the namesake of Seton Hall University. Before converting to Catholicism in 1805 and founding an order of sisters, she was married to William Seton and had five children, all of whom were educated in Catholic schools. William Seton II (later called William Seton Sr.) was Elizabeth’s oldest son, born in 1796, and after completing his education he joined the United States Navy, rising to the rank of Lieutenant. He married Emily Prime in 1832 and the couple had seven children of their own before Emily died in 1854. William made a home in New York, in what is now the Bronx, called Cragdon. This estate had a large home, barns, and extensive grounds; it overlooked the village of East Chester and offered beautiful views of the surrounding area. 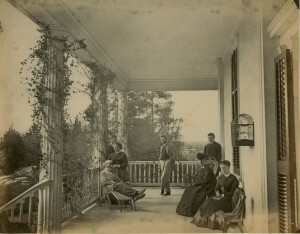 The Seton family photograph album was made in 1867. The photographer(s) is unknown, but the first page of the album is inscribed to William Seton from Thomas Jevons (who later married William’s daughter Isabel) and Alfred Booth. Jevons and Booth were British businessmen, and it isn’t clear how they came to be acquainted with the Setons, but the album was apparently a gift from the two, featuring photographs of the Setons’ home and surrounds. The 51 photographs in the album include hand-written descriptions of each image and may have been written by one of William Seton’s children, as he is referred to as Father in at least one image. Many of the images are of the Cragdon house and the areas nearby, including trees, a brook, meadows, ledges, caves, and the nearby East Chester village. A number of the images also include members of the family, usually identified in the caption, and friends and family, as well as clearly beloved pet dogs, also usually named. Winter, spring, and summer are represented in the images, as are activities appropriate to each, including sledding (called “coasting”) and a fishing party. Although the original cover of the album is missing, the photographs are in good condition and only a little faded, with almost no silvering (a phenomenon of many old photographs in which dark areas turn silver due to chemical changes over time). These lovely images are quite striking now, as they show an area that would today bear little resemblance to the past captured here. 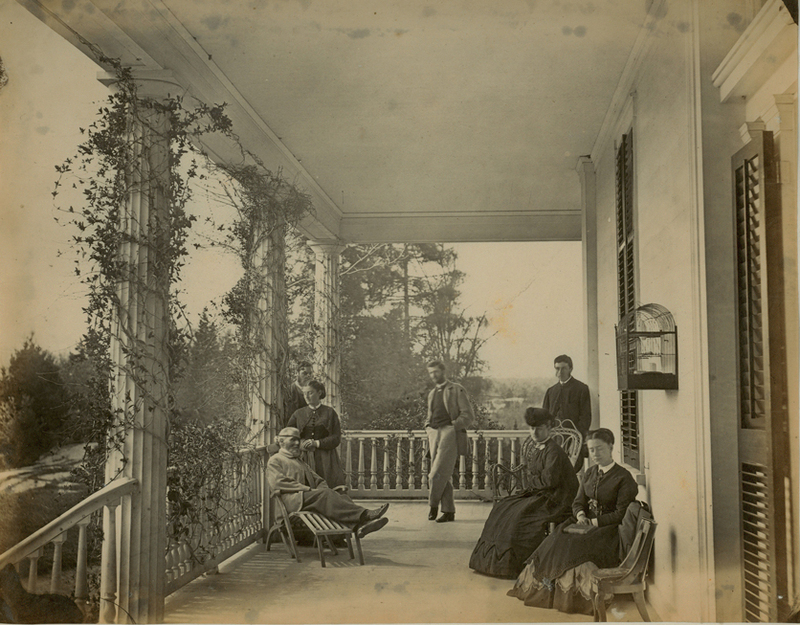 For those interested in Mother Seton’s family and the history of Catholics in America in the 19th century, these images depict a genteel family and their home. For those interested in other historical figures, the images include Army officers of the Civil War and active businessmen of New York and England, as well as the costumes of men and women of the upper-middle and serving classes in 1867. For those interested in nature, the images show trees, flowers, and scenery long vanished from where they stood when these pictures were taken, although the current Seton Park in the Bronx may include areas depicted here. This album is available for research in the Archives and Special Collections Center; view the finding aid for the Seton family album, 1867, Mss 0074. 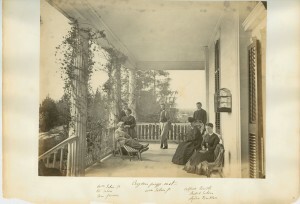 Only one photograph from the album has been digitized at this time but it is hoped that more will follow. Also acquired with the album were two books belonging to William Seton, the Odyssey of Homer and Select Pieces on Religious Subjects by Effingham Warner, both of which are due to be cataloged and made available to researchers. Other resources related to Mother Seton and the Seton family can be found in the A&SCC: Collection on Saint Elizabeth Ann Seton, 1840-2006, Mss 0006 and Seton Jevons family papers, 1780s-1930, Mss 0005.